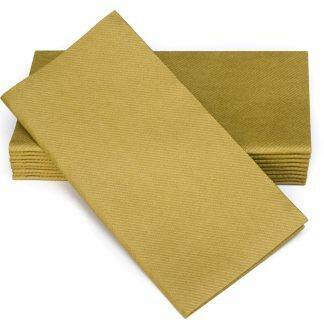 Our brand NEW 19″x17″ dinner napkins have the look and feel of REAL linen, but with the cost effectiveness and disposable convenience of paper. 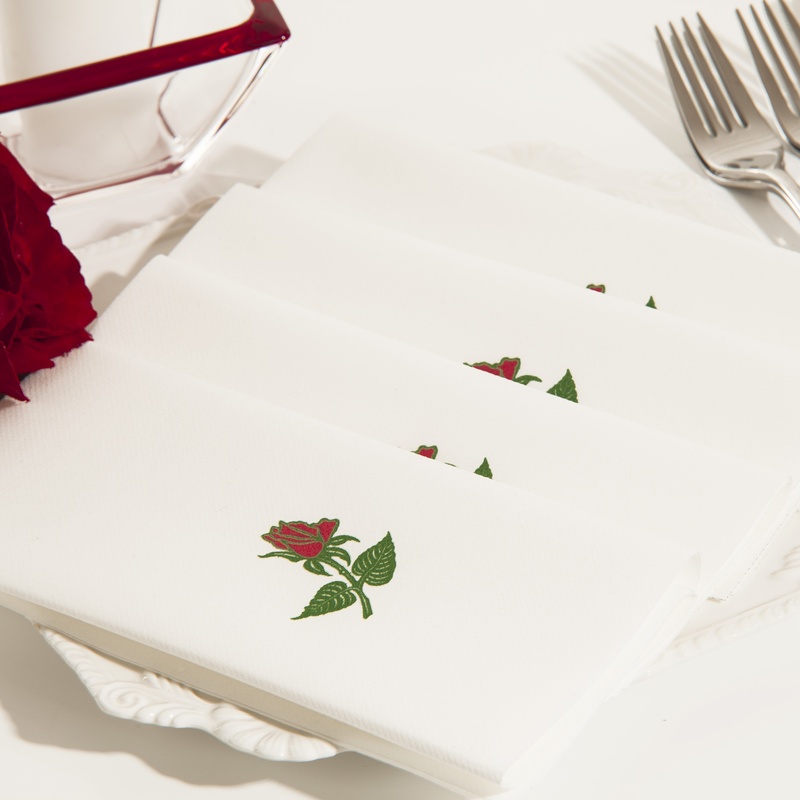 The secret is in the revolutionary technology of fusing cotton and paper to produce an elegant and soft, yet durable finished product. 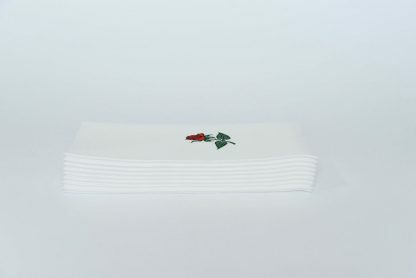 A crisp, clean appearance every time out of the box, these dinner napkins are ideal for special occasions or large gatherings, as well as for in home use. 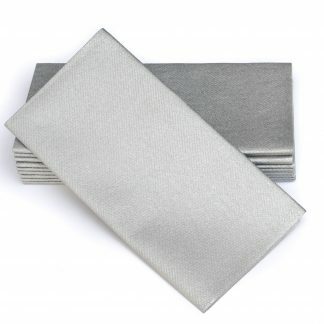 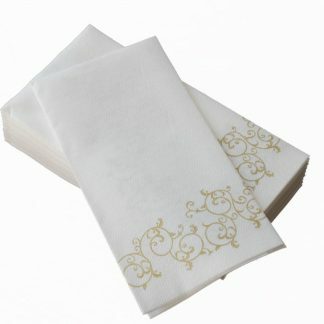 Special Airlaid technology gives extra thickness and absorbency to the napkin. 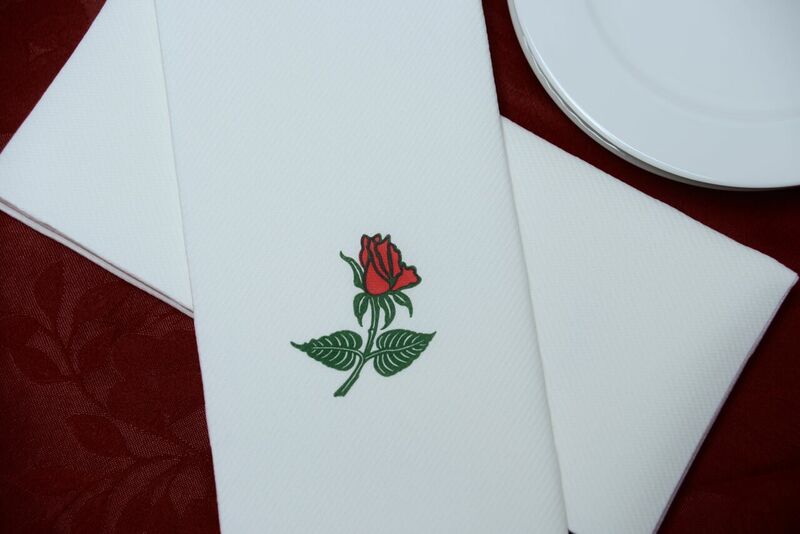 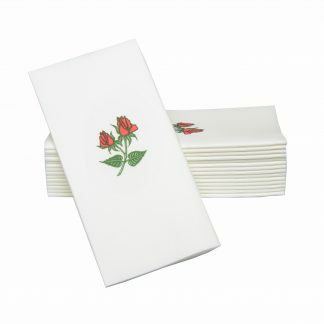 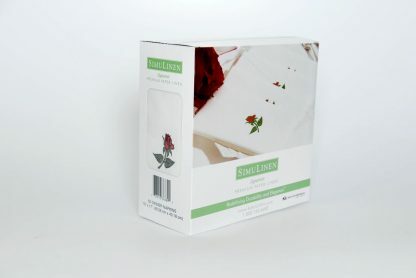 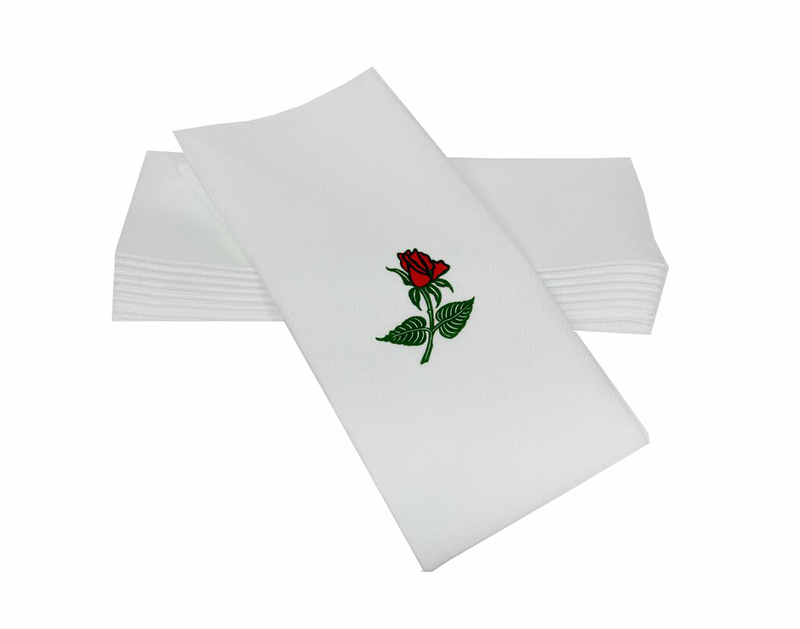 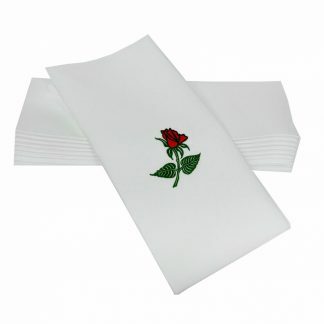 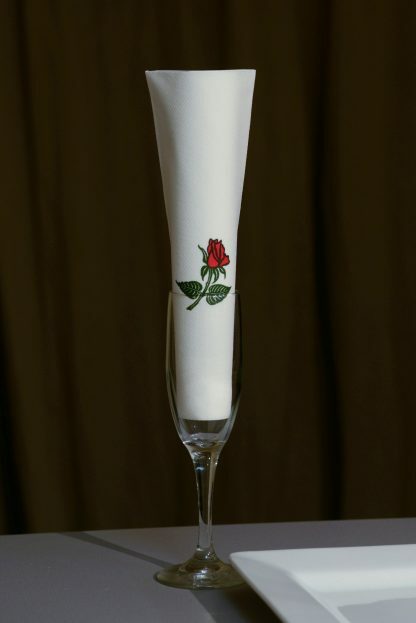 A beautiful rose design is imprinted on the napkins to compliment the look and feel of any table setting.